Many of you who have followed me for a while know of my deep love of and passion for horses and horse farms. 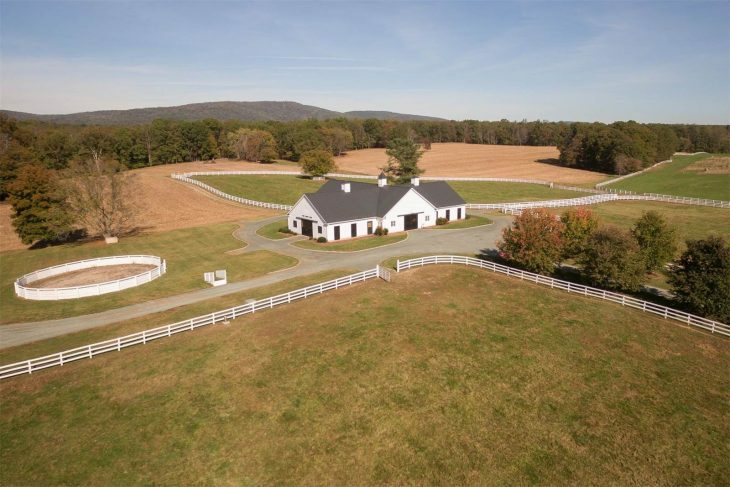 I haven’t featured any for a while, well, because none of them had all the elements – a beautiful home, real horse amenities and alluring land. That is until now. Eldon Farm is almost right in my own back yard. When I first came across it, my heart went pitter-patter,pitter patter. 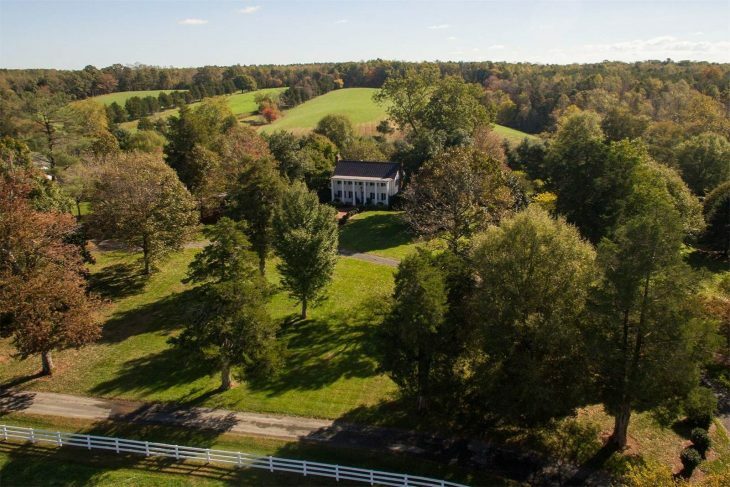 I sooooo miss my own horse farm, so I get to do a happy dance when I discover a place like this. We can all dream can’t we? Let’s take a look. 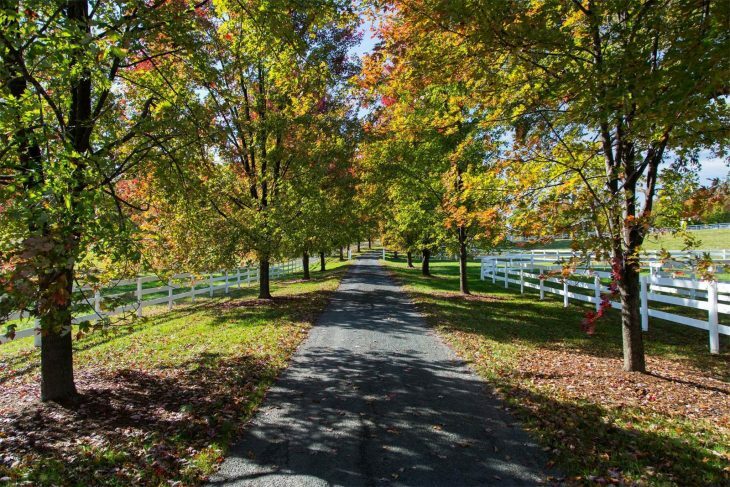 What a welcoming driveway to this almost 200 acre farm. This is just about the point we are at autumn wise here in central Virginia. 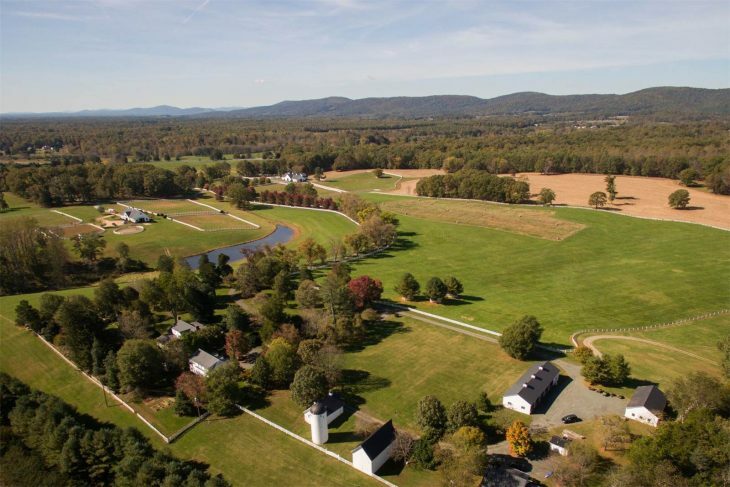 Although the trees are in full color, and leaves are now rapidly falling to the ground, the lawns and pastures have remained kelly green despit several nights of killing frosts. Here you can glimpse the long drive as it passes and then curves around and approaches the home. 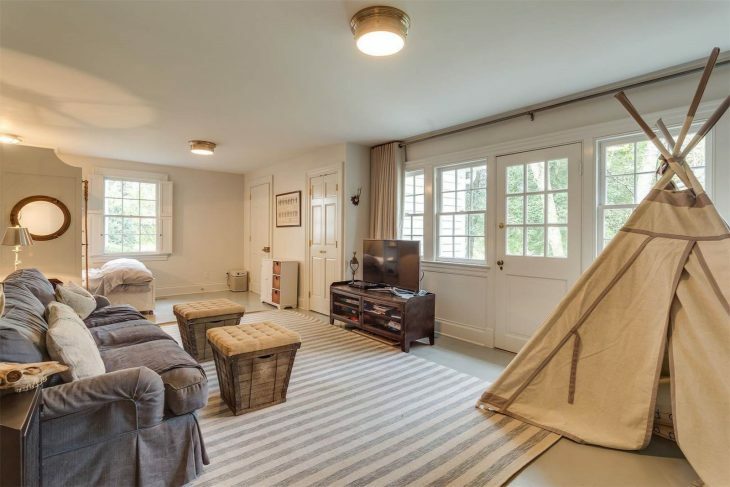 Built in 1940, this home was renovated in 2014. It consists of 4300 sq ft., 4 bedrooms, 4 full & 1 partial bath. It is refreshing that the owners chose to keep the basic footprint. 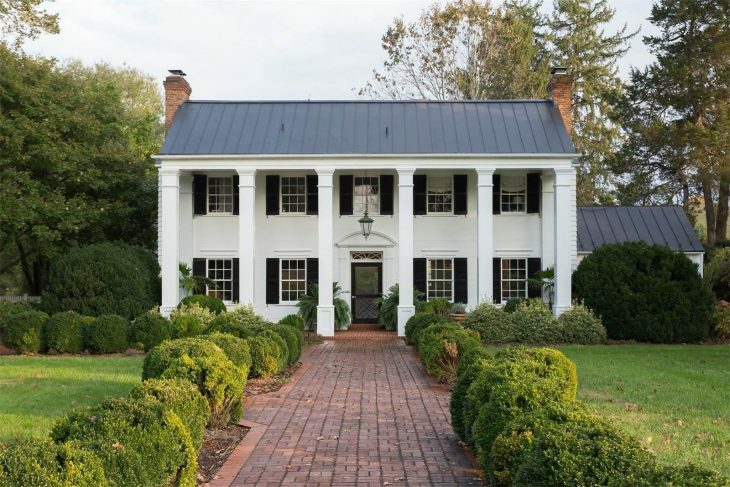 The exterior exudes southern charm, and classic design. 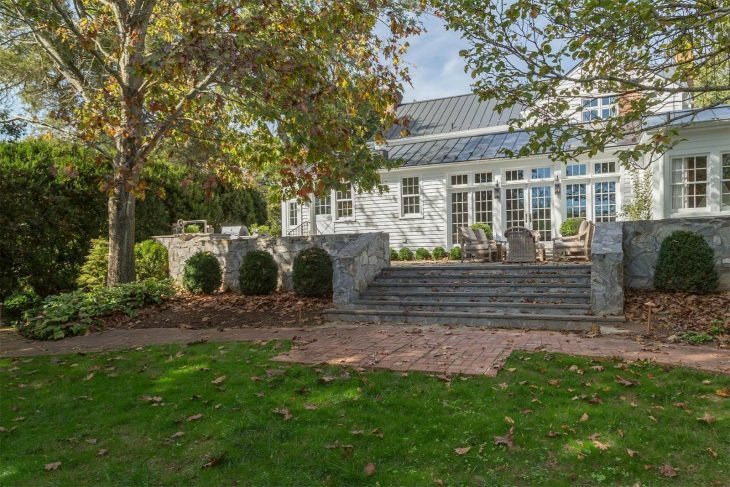 I love the metal roof, and symmetry of the house. As one enters the home I am immediately drawn to the gorgeous curved staircase and the floors.To the right of the staircase the eye can follow an axis to the rear of the home. 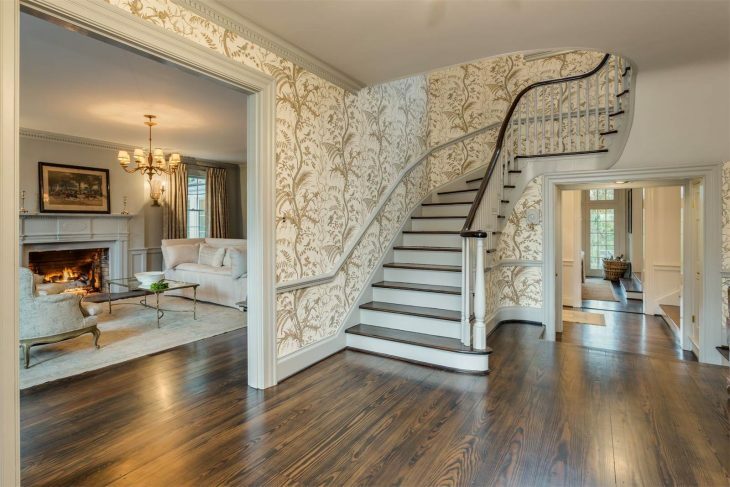 I love the choice of wallpaper in this space. To the left is the living room. 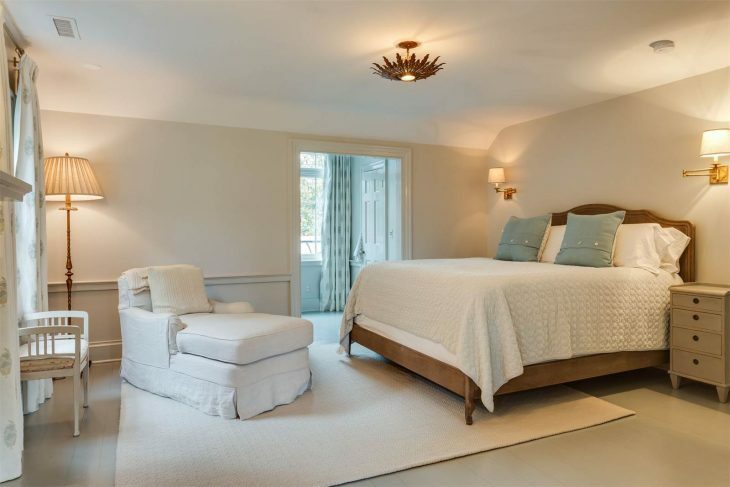 Soft neutral wall colors and textiles create a lovely warm and inviting room. 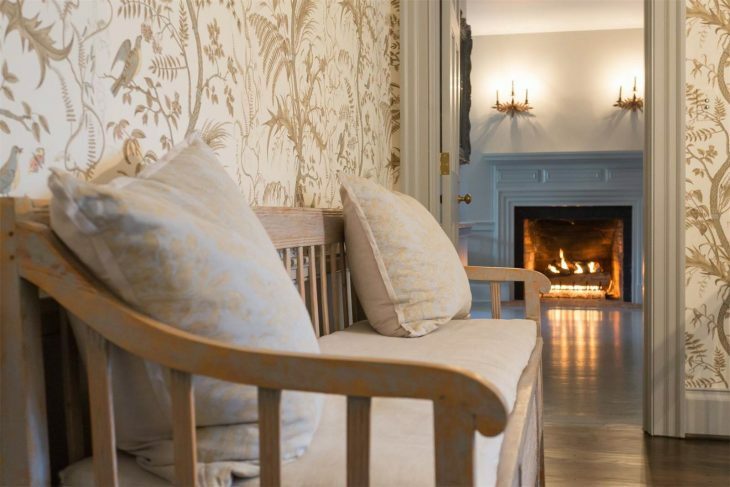 The home interiors were created by antiques dealer and designer Jeannette Whitson, from Nashville. 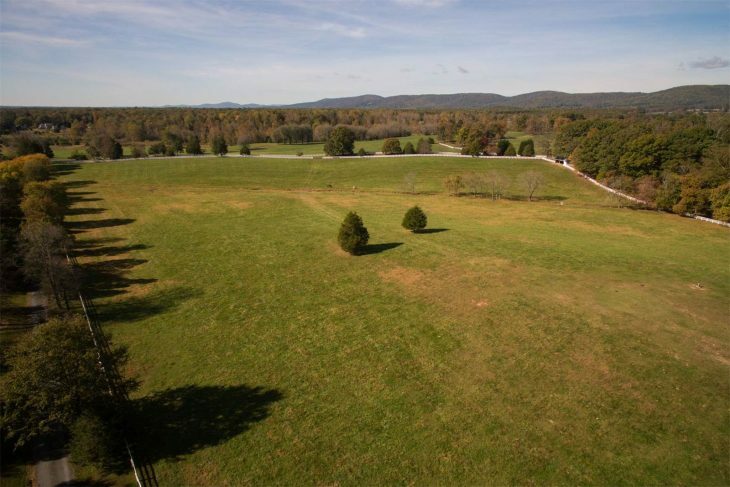 She has, as you will see, successfully combined Virginia country and European influence favored by the owners. This room is to the right as you enter the home, and reminds me somewhat of a pub, a more informal gathering place for people to mingle. Notice the use of mirrors in between the front windows, which reflects light and creates the illusion of a longer room. I adore the sofa along the entire width of the wall, and the use of blue throughout. This is the opposite end of the above room. 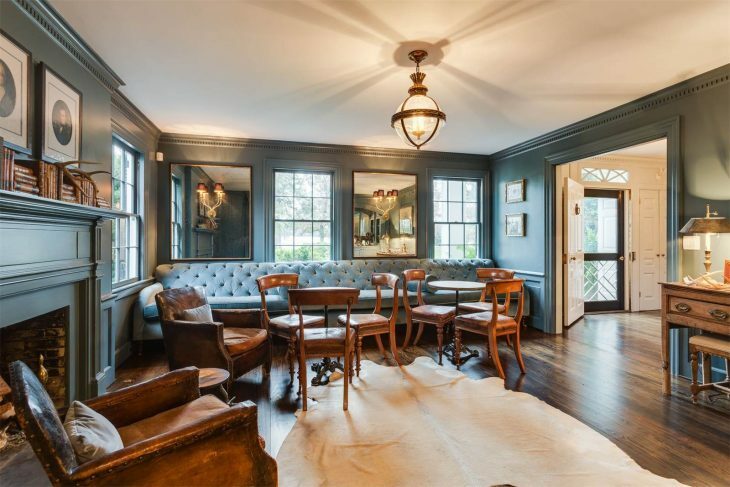 Clearly a room for gathering, and perfect for a drink after a good brisk ride in the late autumn air across the fields of this gorgeous farm. 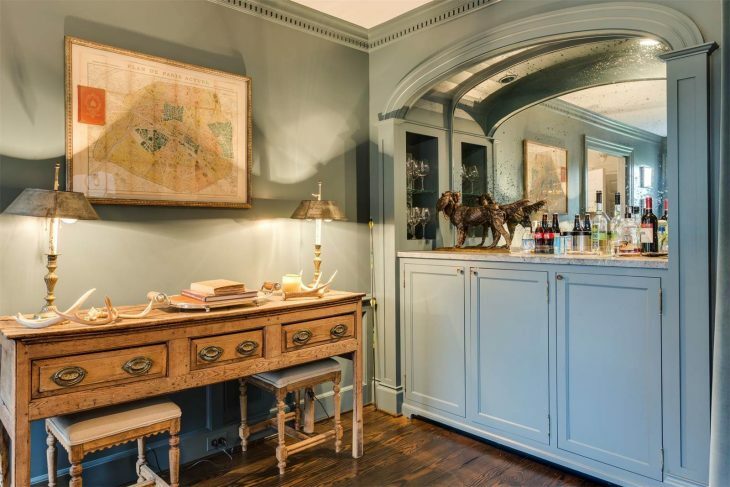 The butler’s pantry is perfectly positioned to the “pub” room and to the adjoining kitchen. Aren’t those floors beautiful? And the beams? Notice the stag horn used as a door handle. The check curtains allow you to close the “pub” from view if necessary. I am intrigued by the lights they used instead of canned down lights. 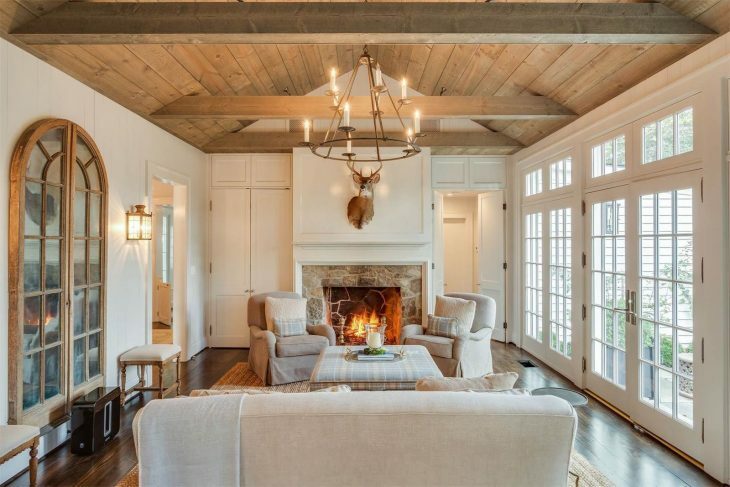 I like the choice – no shadows cast against the beams. The herringbone floors continue into the kitchen. Here the choice was made to again use tiny hanging lights instead of canned ones. 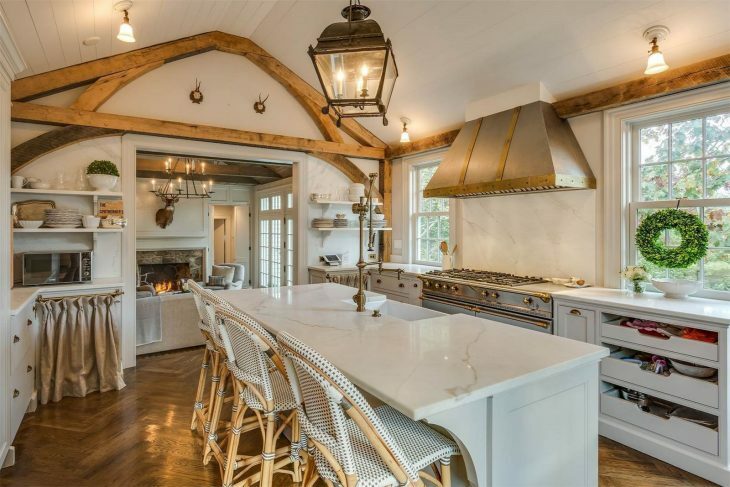 The use of wood beams along the perimeter warms the all white kitchen. 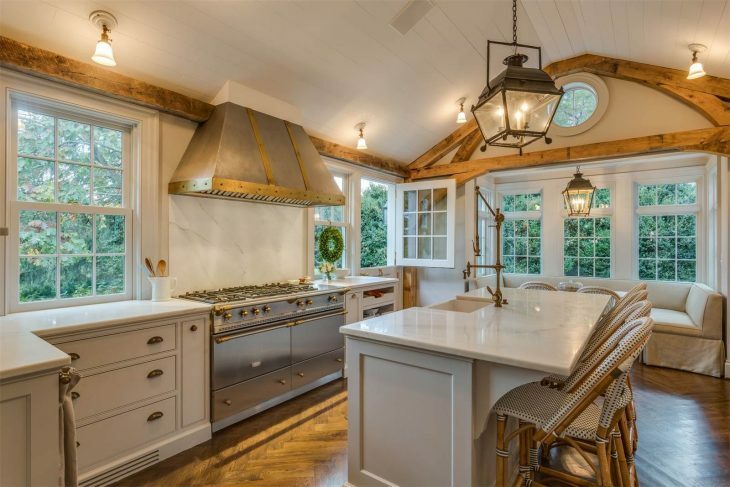 Custom stove hood, and a dutch door, of which I am a huge fan. Love how they inserted a round window in the space above the bank of windows for even more light. The banquet is large enough to seat a good number of people, and quite comfortably. I have some serious stove envy here! I like a compact kitchen with an adjacent butlers pantry like they have done in this renovation. Looking in the opposite direction, there is additional cabinetry and a view into the family room. Neutral, but warm colors prevail here as well. I am usually not a fan of animal heads, but admit that I like it in this room. Maybe it is because I have had such an issue with the deer among and abetting to destroy my gardens that seeing one mounted means one less to eat everything in sight. Anyways…..the light stain on the ceiling planks keeps the room from feeling top heavy. The french doors with transoms lets in even more light. 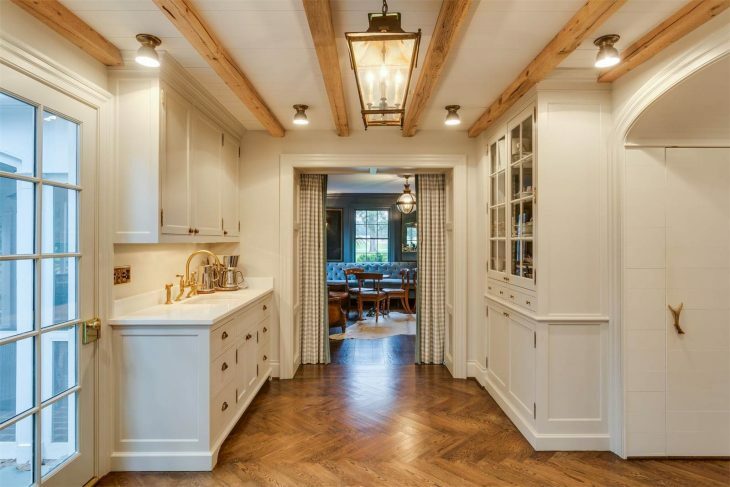 I have never understood how so many builders will put an average height french door in a high ceilinged room without using either transoms or a taller sized door. Another gathering space for TV and play. Good choice for bunk beads if space allows – making the beds double sized rather than twin. This has a bit of nautical flair with the rope and mirror. Nice bath with lots of light. 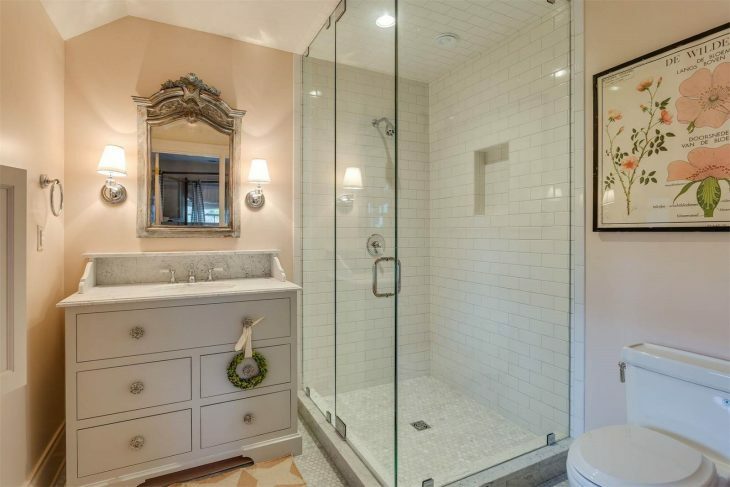 I like how the shower curtain is mounted at ceiling height and the panel split in two. It makes the room feel more spacious. 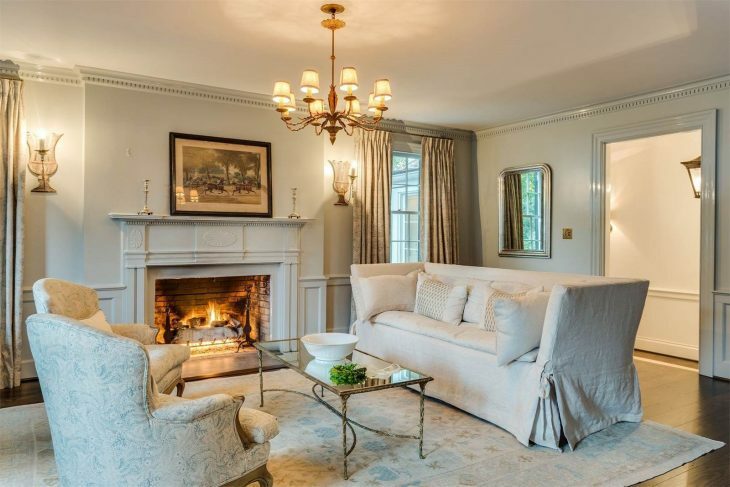 This is a sweet space, and enjoys a fireplace, one of several in the home. 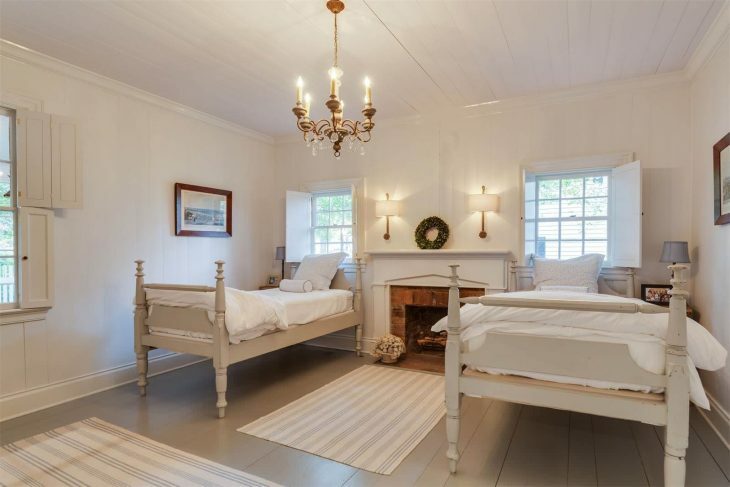 I really think it was a great choice to paint the beds, floor, window shutters and trim in the room the same color. 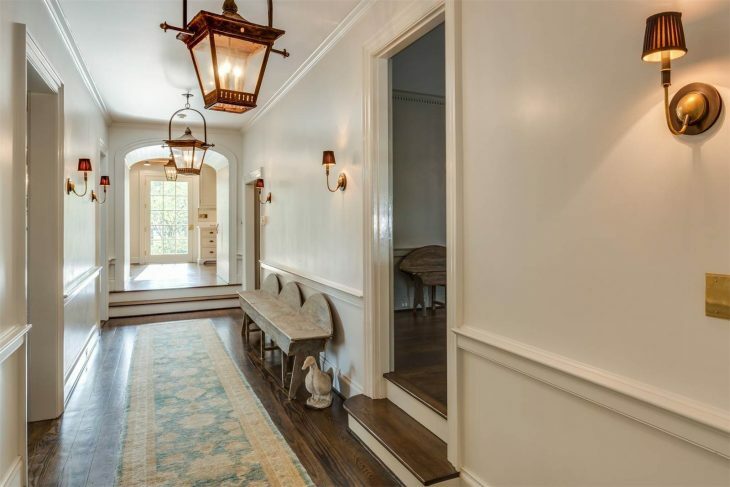 The foyer allows a glimpse thru to the back of the home. I bet at night with the wall sconces and ceiling lanterns it is just amazing. The step up to the kitchen and to the room on the right, helps in keeping this space from seeming too long and alley like. Must be doggie doors or child doors. 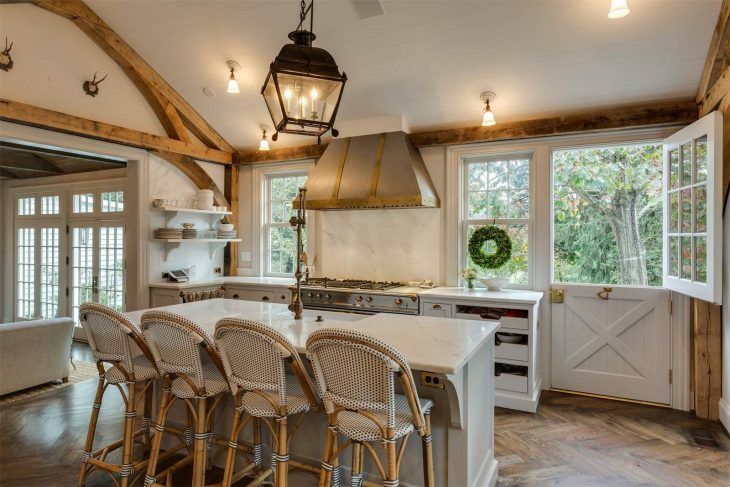 There are a lot of windows in this renovation and the spaces are so bright, which is not always the case in farmhouses. Notice that the ceiling is a slight barrel vault. Closeup of the foyer wallpaper and a look into the “pub” room. The master bedroom enjoys a fireplace. Again, the painted floors create a cohesive look. Another view of the master bedroom. Slight vault in the ceiling is nice, giving some added detail. 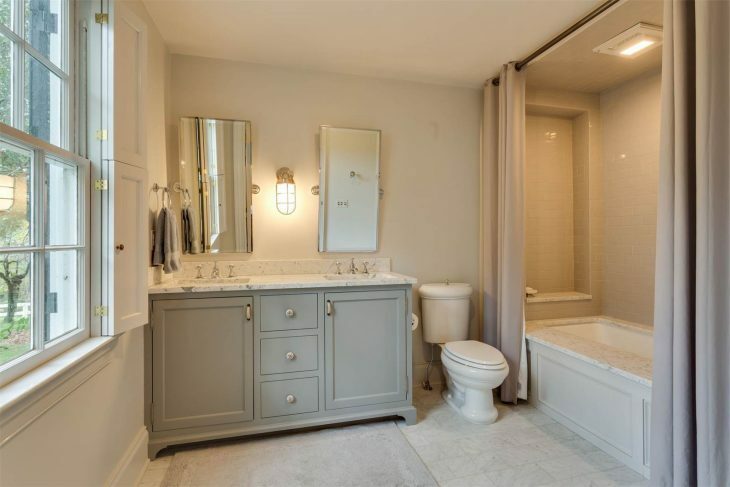 Master bath, one of 4 bathrooms in the home. 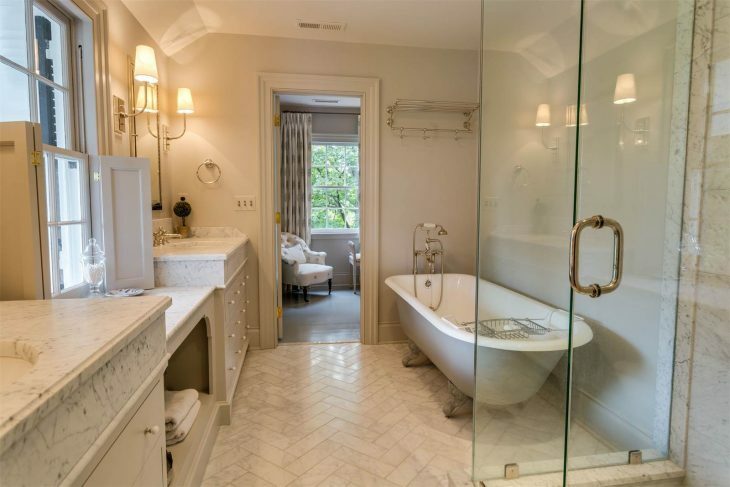 The tub may be original, but I think I would have preferred a tub that went all the way to the floor, no lip, in keeping with the other material choices, which are more contemporary choices, although I have to say, the shape of that tub is made for soaking. Not sure why they placed the beds this way- perhaps to emphasize the size of the room? 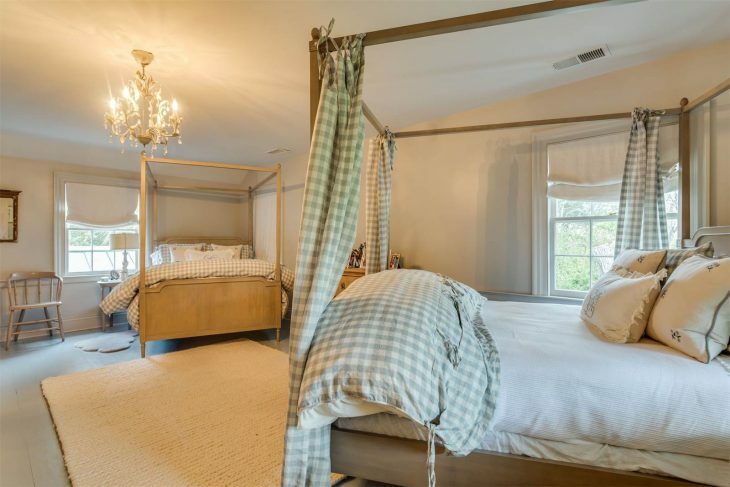 Not sure why one bed is draped and the other isn’t, but a nice room otherwise. Nice shower! I think this might be a steam shower. Good after a hard ride across the farm when every muscle aches. The rear view. 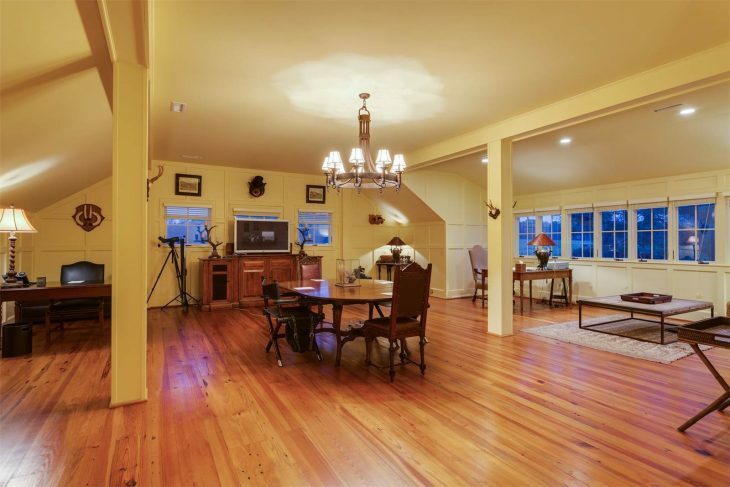 The french doors were the ones in the family room connected to the kitchen. 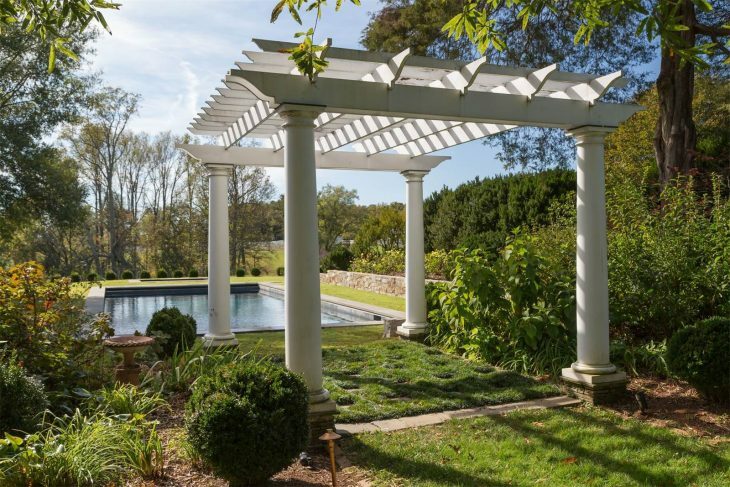 The stone walled terrace is perfection, with long range views to the pergola and pool beyond. View from the terrace. Notice a garden gate off to the right. 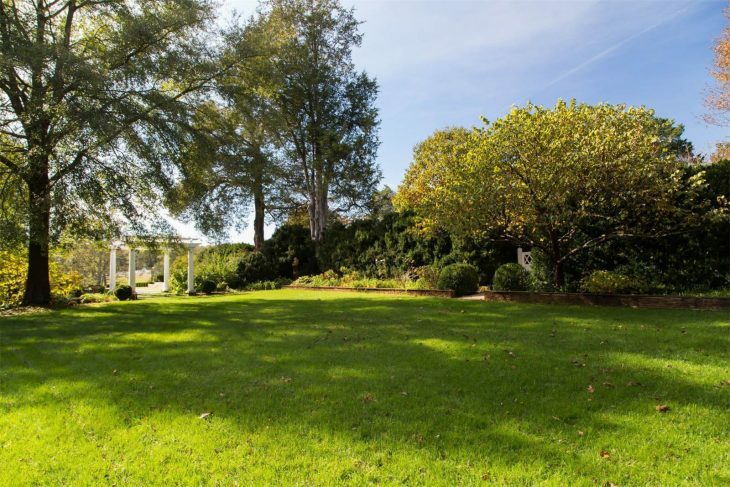 I adore the choice of stepables planted between pavers of some kind under the pergola instead of simply grass or stone. 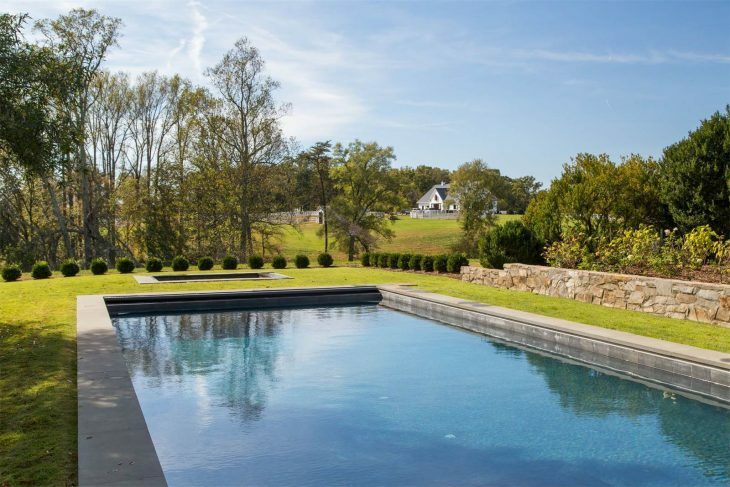 The pool surrounded by the same stone walls as surrounded the terrace level, with boxwoods providing a place for the eye to rest before catching glimpses of the barns and pastures beyond. 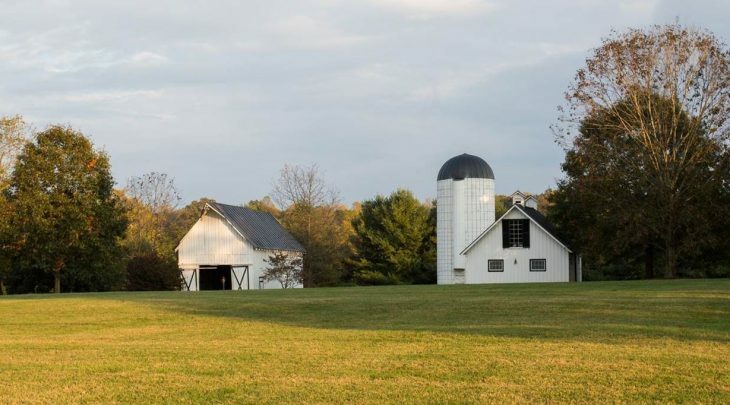 Ahhh yes, the barn, one of several, and with a view of the Blue Ridge Mountains. 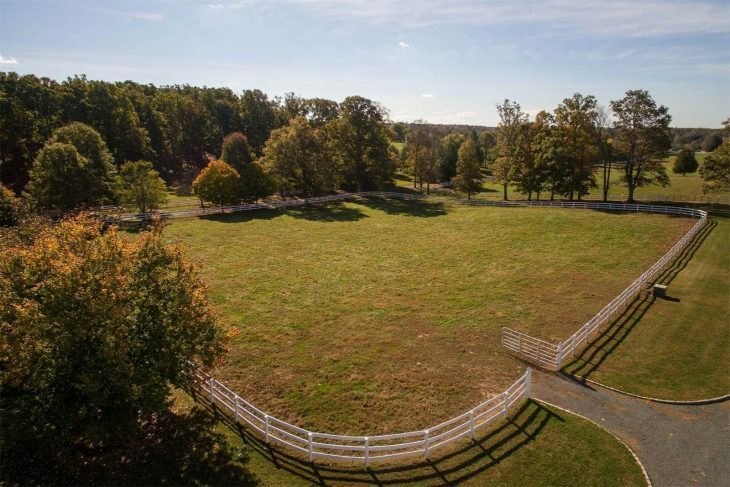 A round pen off to the side and miles of white fencing surrounds this property. Can you hear it? Be still my heart. What a barn. 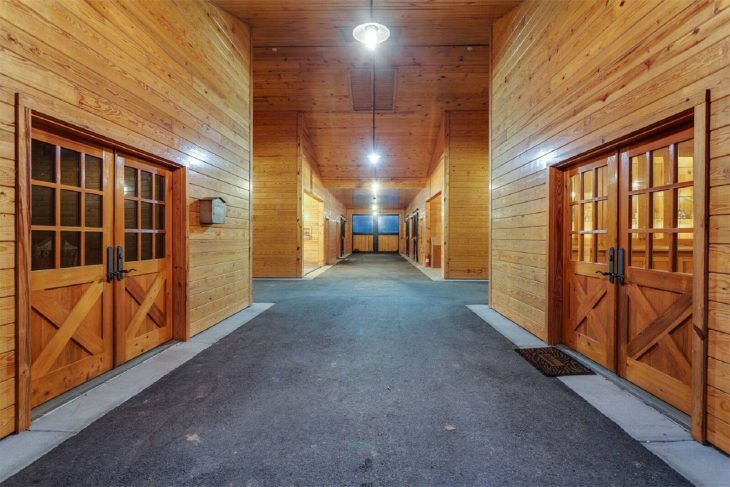 It just needs the horses! 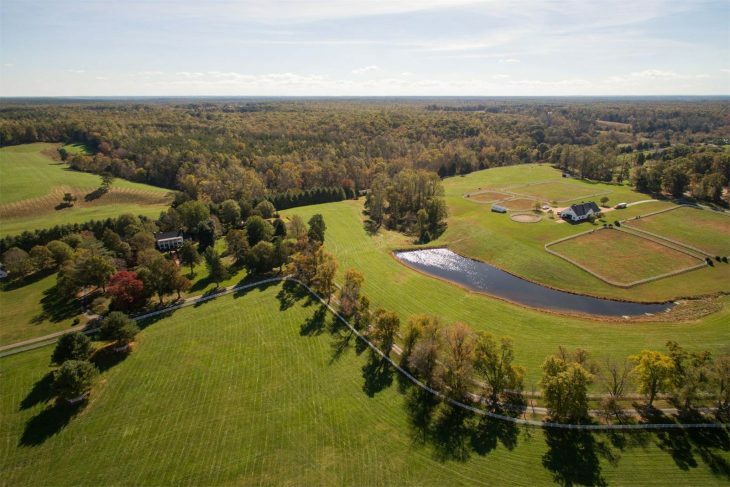 View of the barn, lush pastures, and the pond from the air. Another pasture. The maintenance of just the fencing alone would be a full time job. We were always fixing fencing, although ours was black and easier to maintain. 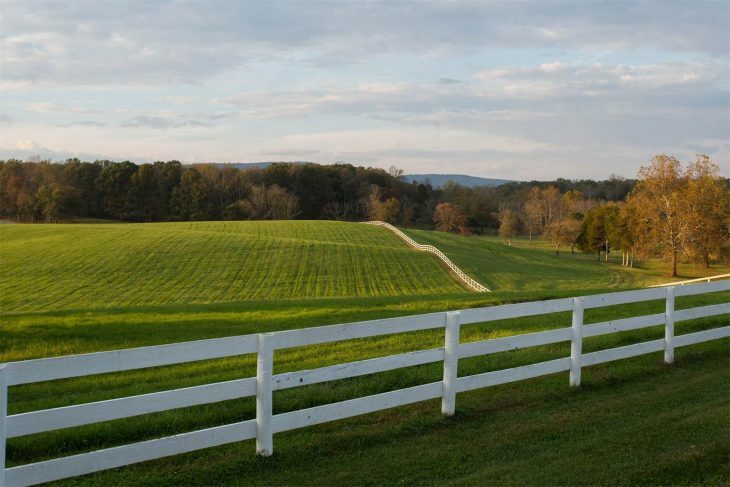 In any case, the fencing and the land has been meticulously cared for. Another view from the air. Sad not to see any horses on the property now. This is my beloved Whitley. She went off her food a few weeks back, which is totally not like her. She acted like she wanted to eat, but couldn’t. She will be 8, but has been healthy ever since I rescued her. I mentioned to the vet I thought it might be her teeth.Vet thought something else, but all blood work was normal. They still didn’t really think so, but I was sure of it knowing her like I do. I scheduled a cleaning, but had to wait 10 days for a surgery date, and I kept her on antibiotics and pain meds. Ugh. Anyway, when they got back to clean the molar it was fractured and the nerve exposed. Not only that, when they got to the other side, the same thing and some infection! They had to pull them both. I cannot believe how good she was during this whole thing. 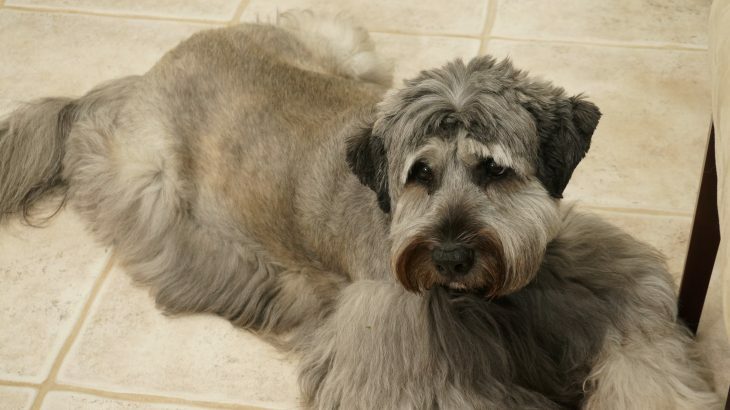 I know my dogs, and sure enough it was her teeth, even though it was not obvious just looking at them. Anyway, she is back to her ole wiggles self, happy with life and usually by my side. I have shown and rescued dogs for a long time. Many animals have passed thru my doors and I have never had to have their teeth cleaned nor had a fracture. Now I can’t say never. Just happy to have my sweet girl feeling like her old self again. Shoutout to Cathie & Carole, two very dear friends. Be well soon. Built by my maternal grandparents, Hardy and Sallie Todd, who retired there from Washington D.C. Great to see many familiar details, but renovation/expansion is stunning! I felt like I could move right in, and that peaceful, at home feeling dissolved when I saw Whitleys picture and started to read …so glad she’s ok. I had to crown one of Koda’s molars because he has few teeth to spare, a mouth destroyed by some kind of puppy trauma years before we rescued him. The culprit? Nylabones. Fractured his tooth; the dental specialist said Nylabones bring them so much business. 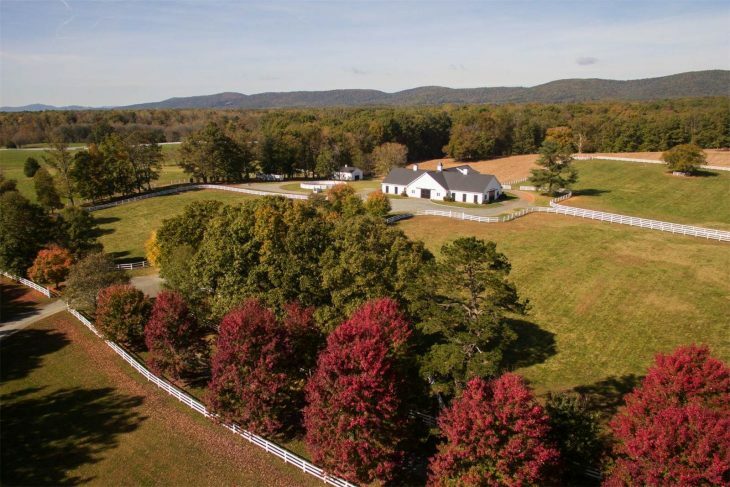 Beautiful horse farm….but oh the up keep. Of course whom ever owns this place can afford hired help. Love the pic of Whitley and am glad she is back to her old self. I just had both my Chi’s teeth cleaned. Both lost teeth and one even had to have a canine pulled. All the antibiotics and pain med afterwards was difficult as Chihuahuas are not the most co-operative dogs in the world, but we’ve gotten through it. Glad you’re back to posting, I always look forward to your informative posts! !